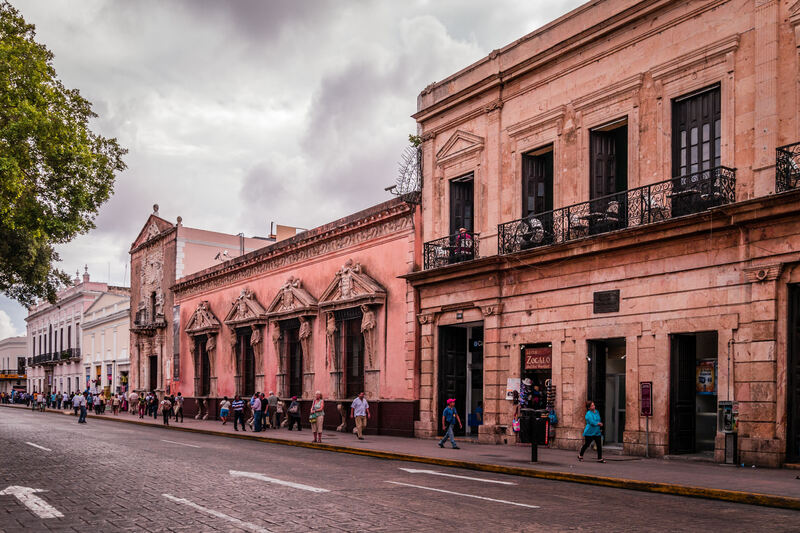 Pedestrians walk among the old buildings along Calle 63 in Mérida, Mexico. 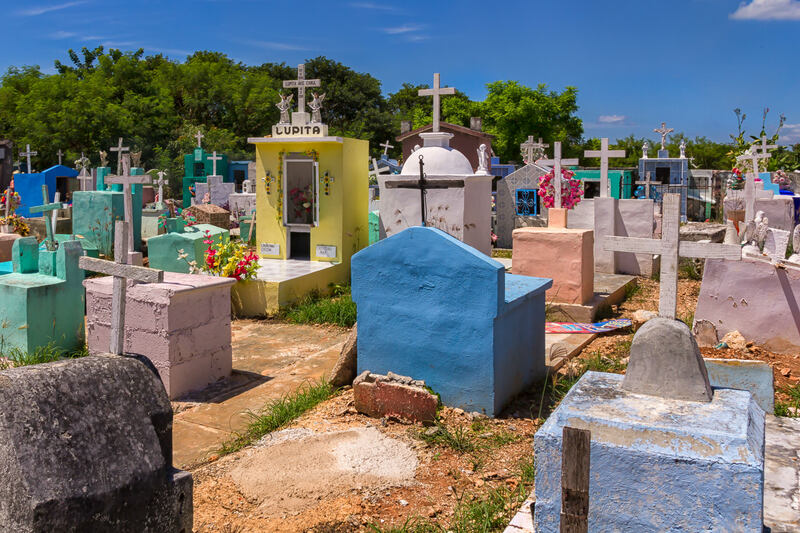 Colorful graves in a cemetery in the small village of Dzemul, Yucatan, Mexico. 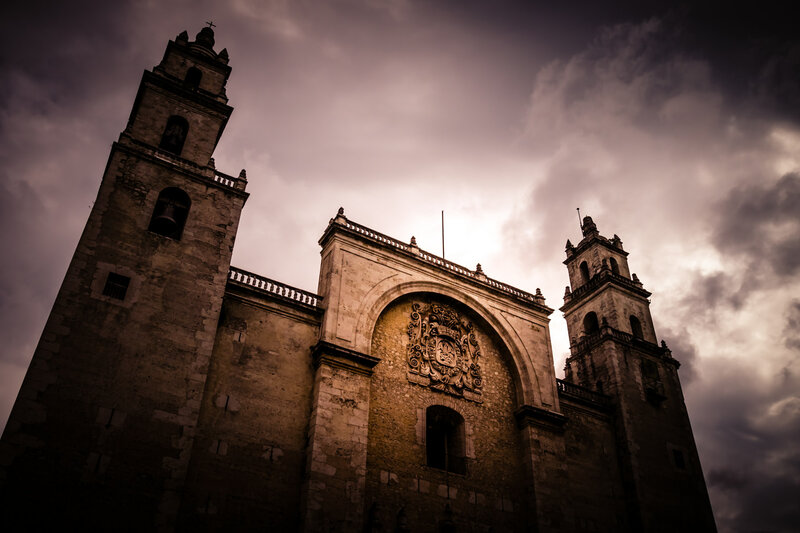 Storm clouds form over the Mérida Cathedral in Mérida, Yucatan, Mexico. 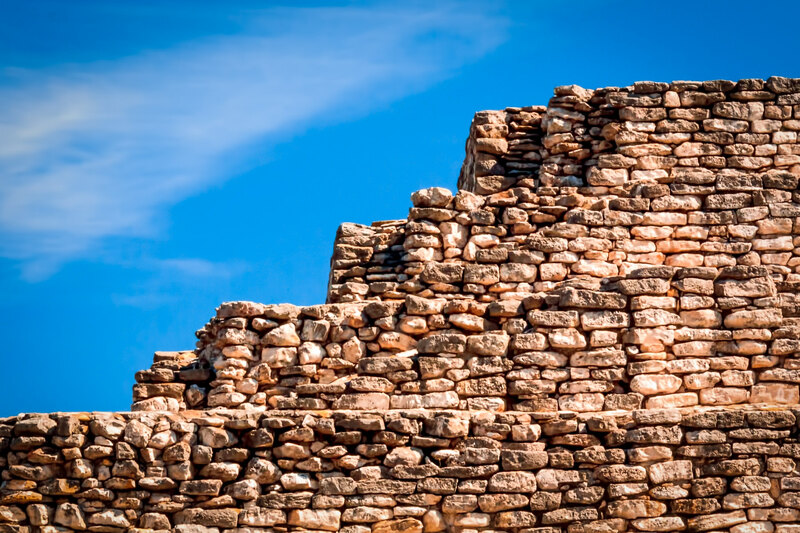 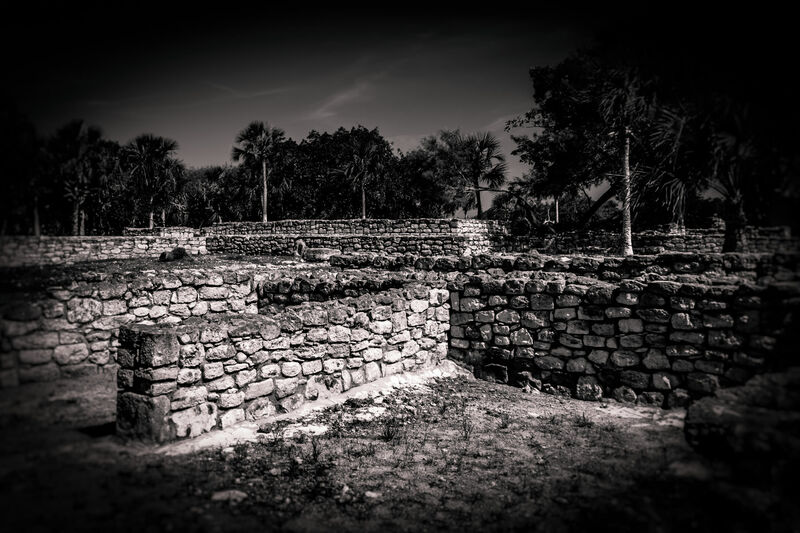 The cathedral is one of the oldest in North America, having been completed in 1598. 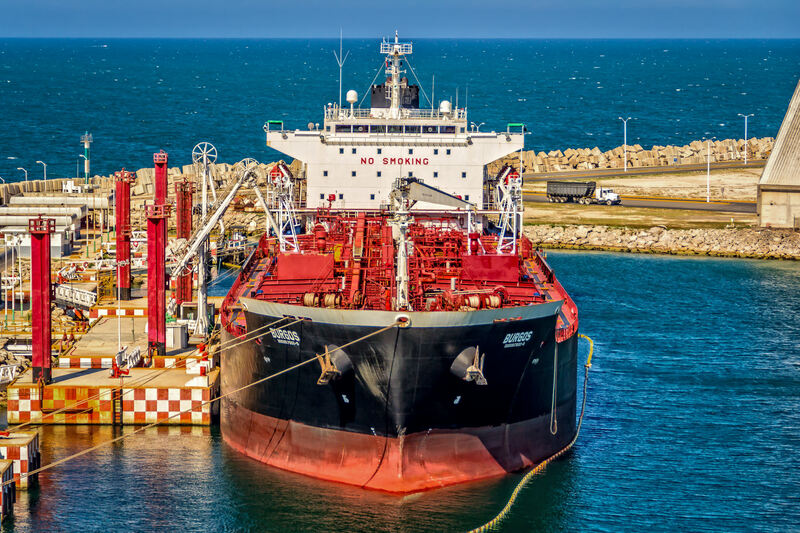 The chemical tanker Burgos, docked at the port of Progreso de Merida on Mexico’s Yucatán Peninsula. 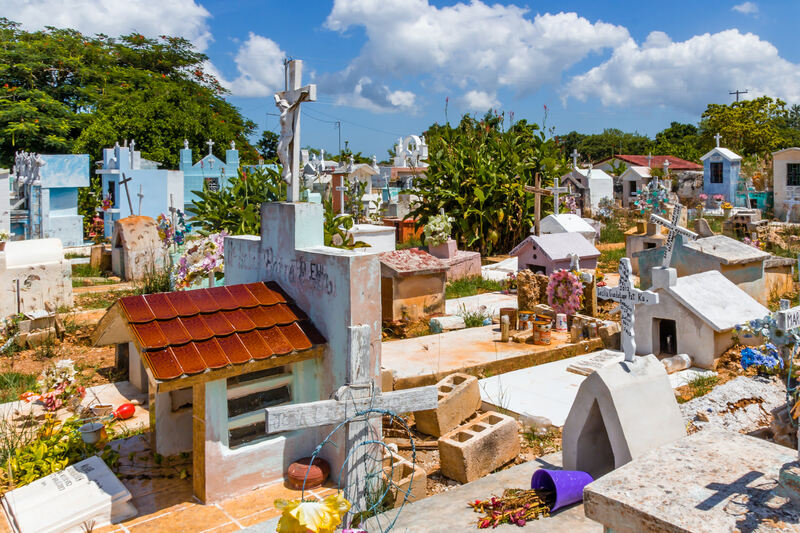 Simple, colorful graves in a cemetery in the small village of Dzemul, Yucatan, Mexico. 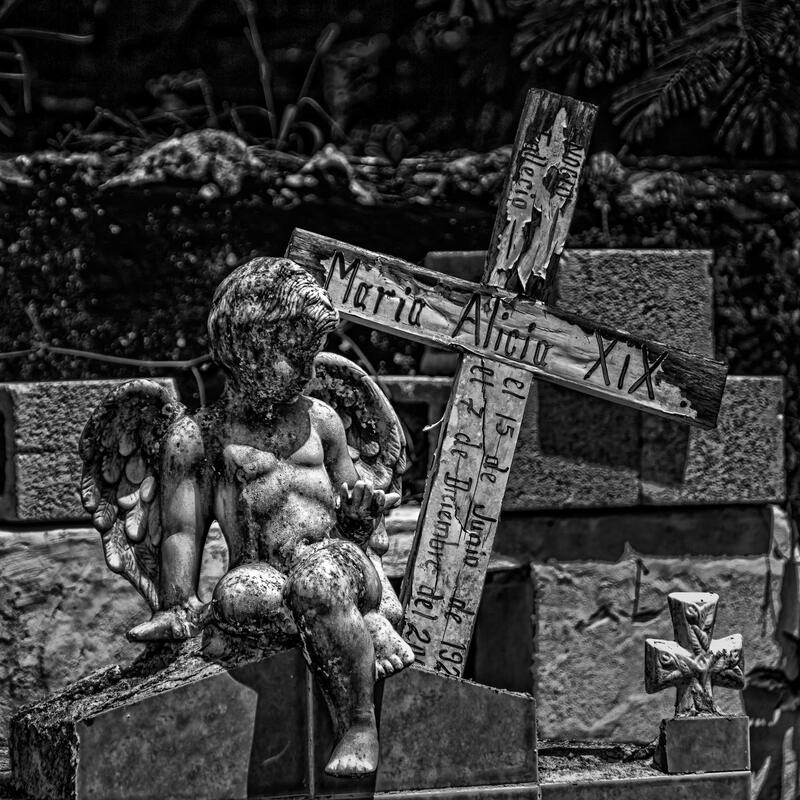 A simple hand-carved wooden cross marks a grave in a cemetery in the small village of Dzemul, Yucatan, Mexico. 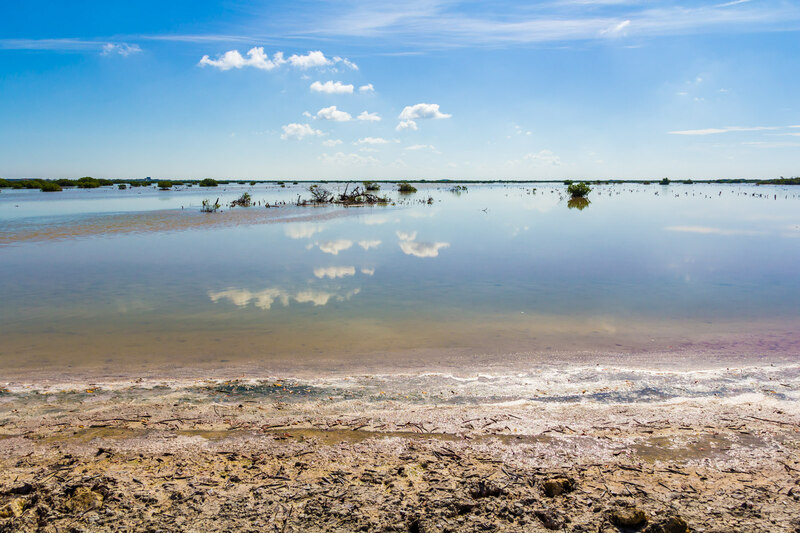 A salt marsh reflects the summer sky near Progreso de Mérida, Yucatán, Mexico. 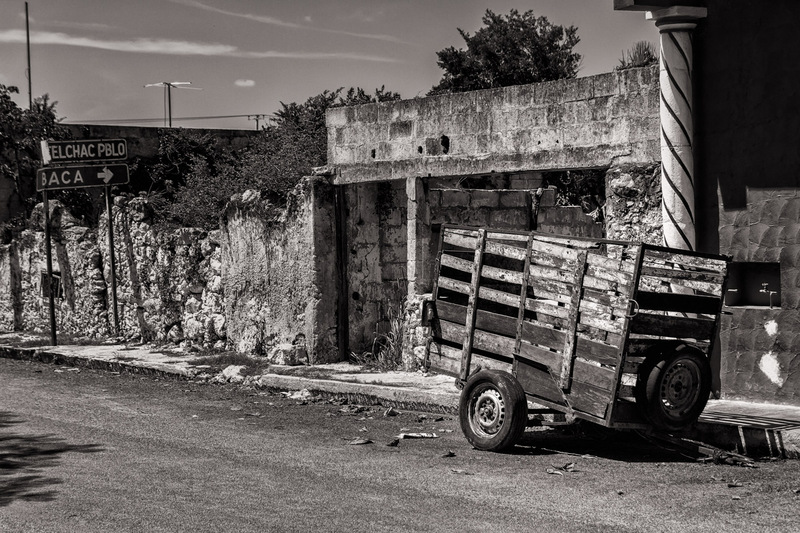 A dilapidated wagon on a road in the tiny town of Dzemul, Yucatan, Mexico.